Coyote hunting is one of the most challenging and rewarding hunts you can do and there is no better time to do it than in the dead of winter. The ideal conditions to coyote hunt are not always the ideal conditions for us, but when the thermometer plummets and the sun sets, there’s not a better time to be out gunning for these dogs. We can give you plenty of reasons why you should coyote hunt, help the deer and bird populations and have fun, but here are some of the steps to help you learn how to coyote hunt so that you can help curb the predator population and add some nice pelts to your wall. Learning how to coyote hunt can be complicated but it doesn’t have to be if you stick with a few simple tips. First off, focus on areas that have coyotes. This could literally be anywhere since these predators live all over the place but a good place to start is an area that holds small game, birds, mice, pheasants turkeys and ever deer. 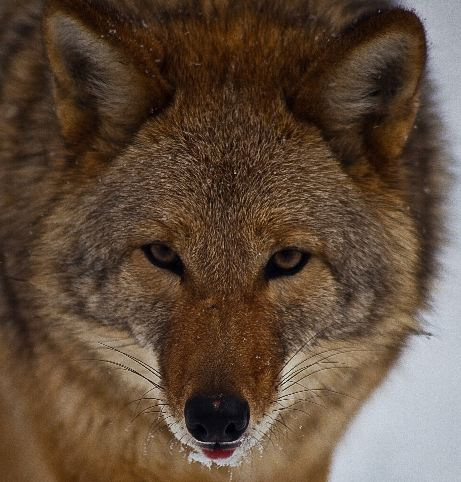 CRP fields, marshes, brushy areas and even river bottoms are excellent areas for coyotes. It’s pretty easy to get permission to coyote hunt, but there is a ton of public land available in most states as well. Hunting the wind is very important. 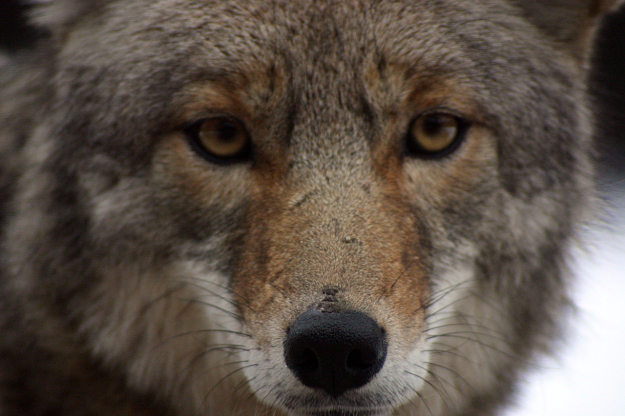 Coyotes will almost always come in down wind of your call and they will stop a few hundred yards away to smell. This is when you get busted. Their noses are very good and you need to make sure that you put your setup so that the coyote will have to come in from upwind. When you set up and call you should do it in an area that you have a good vantage point and can see for a long ways. Shooting a flat rifle is best so that you can poke it out there further, but we’ll get to that shortly. Set up and make sure that you’re camouflaged in well, then start calling. If using an electric caller (recommended) set it up a little ways away from you, by a decoy if you’re using that. The coyote will focus it’s attention on that instead of where you’re sitting. That way, you can shoot them when they’re focused on the deke. Call for a few minutes the shut it off and wait ten minutes. Repeat this process for a half hour, if nothing shows up by then, move to a different spot. You want a flat shooting gun if possible to shoot coyotes. This gives you a chance to shoot further without destroying the animal. A .223 caliber rifle is best in open terrain or marshes since you can see them further, but if a deer rifle will work if nothing else is available. Shotguns also work well and you should use buck shot or turkey loads. This is perfect for the woods or an area where you can get a shot within 50 yards. There are different strategies to use when calling, but distress is probably the best all around call. Rabbits, fawns and other animals get coyotes moving and if they’re hungry, they’ll be there. When the temperatures drop considerably, these animals need to eat and it’s easier to get them to come to a call. Late at night with a blanket of snow on the ground and a full moon is also a great way to hunt coyotes, you can see almost as if it’s daylight. When the mating season comes (midwest states see this in February/March) you can use more coyote sounding calls to lure the dogs in. Start with these tips and you’ll be able to get out and add some pelts to the wall, or if nothing else, help curb the local predator population. Check out more hunting tips on MorningMoss.